Leaves are now falling from the trees, making my walks though the woods increasingly crunchy. I feel like I am announcing my presence to all of the birds as I approach them. 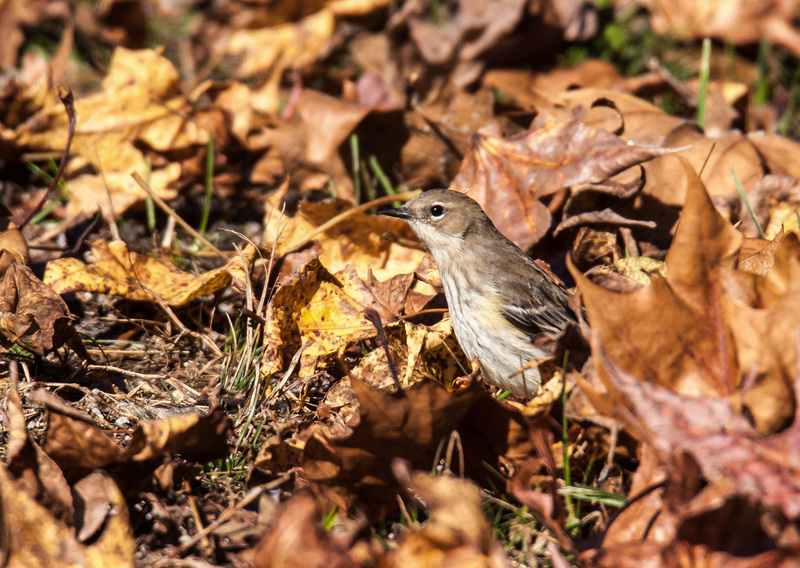 This little Yellow-rumped Warbler (Setophaga coronata) lifted its head for a moment to check me out, then returned to its foraging among the fallen leaves, probably having decided that I did not represent a threat. A pretty capture, Mike! Funny how loud that crunching seems sometimes. on November 14, 2018 at 9:59 pm | Reply Molly D.
Crunch before that winter storm hits!! The storm is here now. The ground is covered with snow at this moment, thought it will be at most an inch or two. It is likely too that the snow will turn into rain later today.